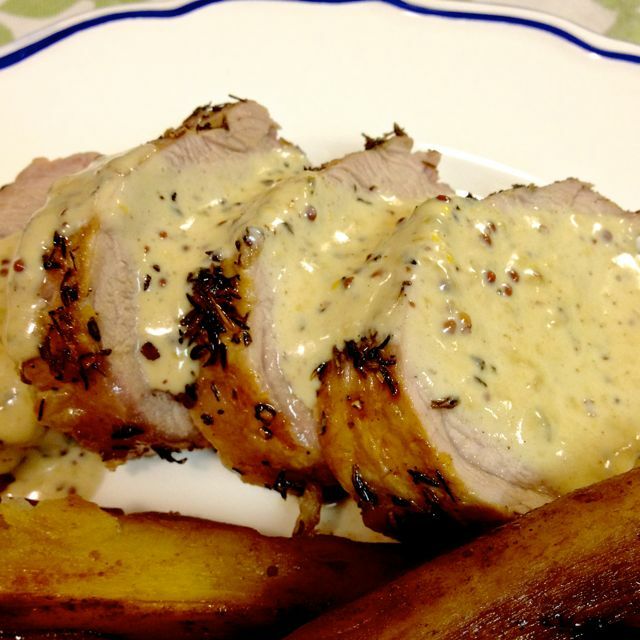 The smell of the herb-crusted roasts was fantastic, and we wanted to support that sensation with a great sauce to serve over the cut slices of pork. 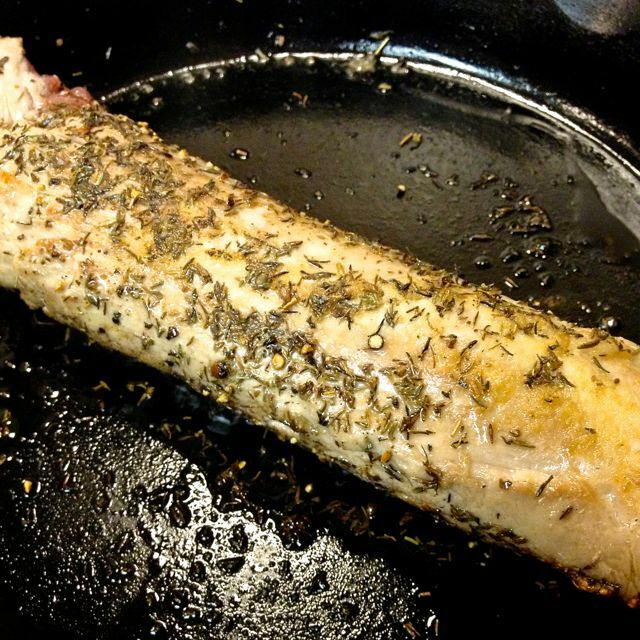 I used a Dijon cream sauce that I typically make while deglazing a pork tenderloin pan. It is super easy, and always works. 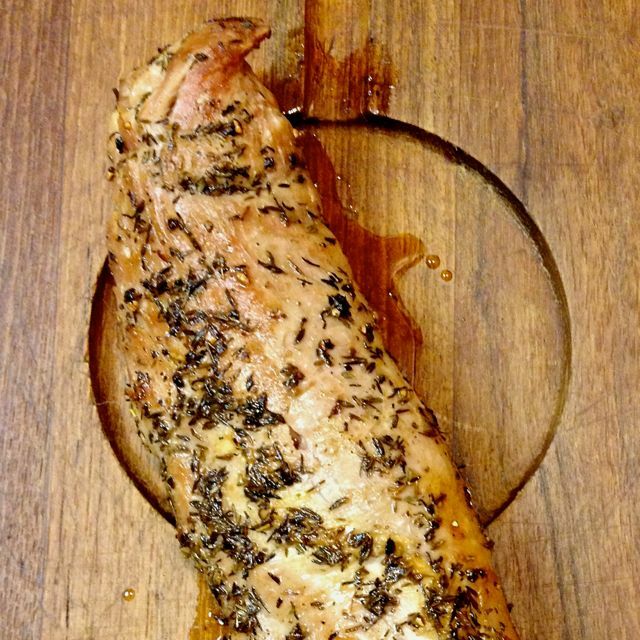 Pork tenderloin is quick and tender, and can be on the table in about half an hour, which gives you just enough time to cook a side, and make a salad. While it’s heating, massage the remaining oil over the tenderloin. Season well with salt & pepper, and the herbs. Rub the seasonings all over the oiled meat. Sear the meat in the hot skillet, about 3-4 minutes per side. Once seared, place the hot skillet into the hot oven, and roast for 20 minutes. Carefully remove the skillet from the oven. 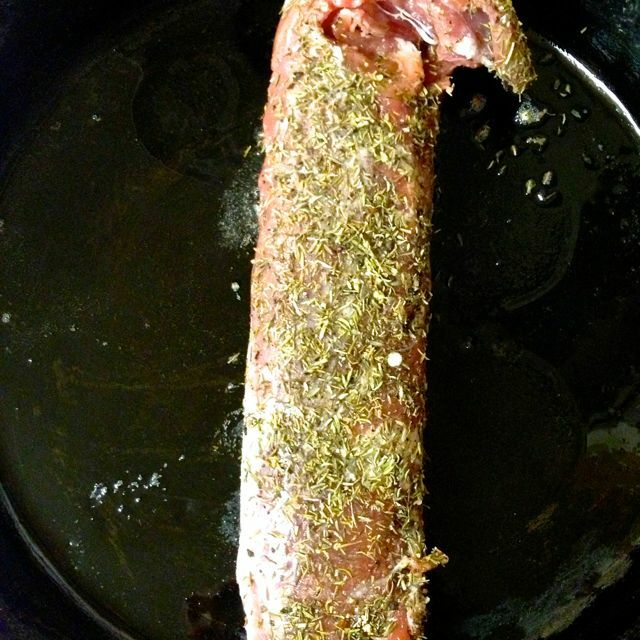 Using tongs, move the tenderloin to a cutting board, let rest. Turn the heat back on to medium under the skillet. 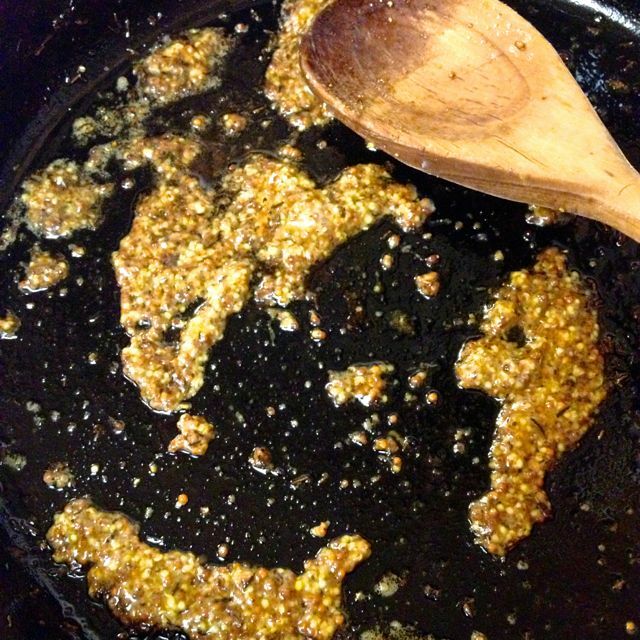 Deglaze the pan with the Dijon mustard, scraping loose bits of meat & herbs from the bottom of the pan. 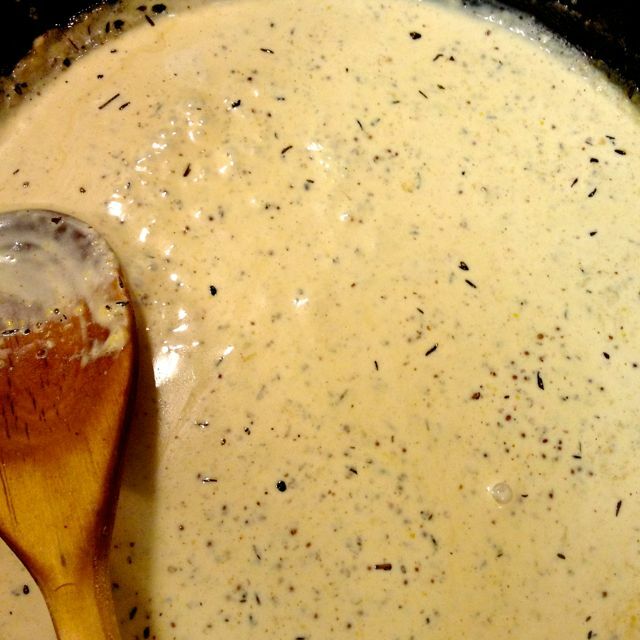 Add in the cream, slowly, stirring to incorporate the Dijon. Let the sauce cook over a low heat for a couple of minutes. Serve drizzled over ½” slices of pork. 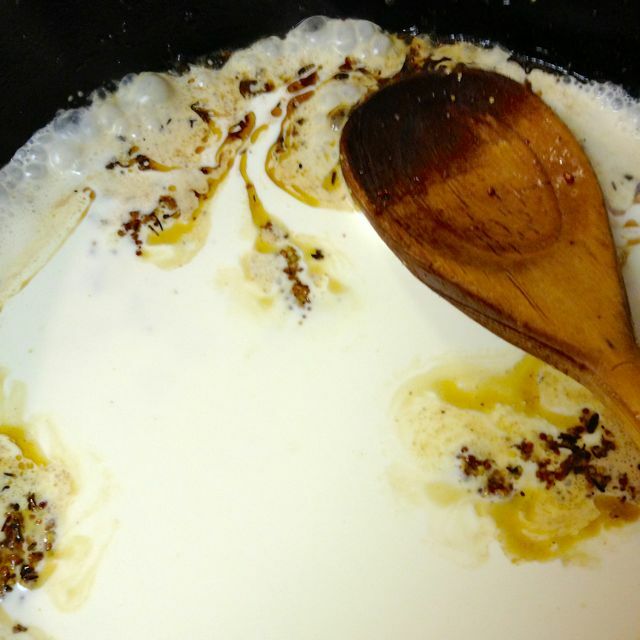 Note: to make the sauce separate from a roast, brown 1 finely chopped onion in 1T of butter over medium heat. Add the Dijon to the browned onions and proceed with the recipe.